Lisa-Marie joined the Manna team in July of 2011. She was hired as an Assistant Manager and quickly moved through the ranks and is now the District Manager for South San Diego. Lisa-Marie has been in the restaurant industry for 19 years and brings a whole lot of guest service and operations knowledge to the Bakery-Cafes. Her ultimate goal is to provide great guest service and serve quality products in a clean and welcoming environment. Lisa-Marie was born and raised in San Diego and lives here with her husband and two daughters. In her free time she enjoys traveling, spending time with her huge family and going to the beach or doing any outdoor activities! Margaret joined Manna in 2013 as an Assistant Manager and quickly moved up the ranks as a General Manager for both Solana Beach and Carmel Valley. She has 25 years of restaurant experience and believes there is nothing better than spending time with friends and family over a meal. Margaret has a BA and BS in Environmental Science and Business and a Masters in GIS. She has a strong background in systems and believes this is the way to execute excellence in the bakery cafes. She enjoys spending time outside or in the ocean which makes San Diego the perfect place for her! Machek has been with the Manna team since 2003 when he joined in the opening of our first cafe (Escondido) as a part time associate. He was promoted to Assistant Manager when he helped open the Vista location, and where he later became the General Manager role. In 2011 Machek became the first Executive Manager for Manna, and in 2012 was promoted to District Manager. Machek has an Associate of Arts in Pre-Law from Mira Costa College and lives in the North San Diego area with his wife and two young children. Machek loves spending time off with family, is a classic car enthusiast, enjoys sailing, hiking, football, working out, swimming, and traveling. Machek also confesses to being a "foodie" who is so addicted to good food that he makes travel plans based on the restaurants he'd like to visit. Reza started with Panera Bread in March of 2007 and joined Manna Development Team in January of 2009. In the past 7 years Reza has seen the size of his district double from 7 bakery cafés to 14 bakery cafes. Prior to working with Manna Development, Reza held District Manager positions with Au Bon Pain, Johnny Rockets, California Bread as well as working with Corner Bakery. Reza earned a Degree in Civil Engineering from Leeds Polytechnic in Leeds, England. Reza is married to a beautiful wife, has a daughter in college and a 4 year old son who keeps him on his toes. Reza used to play soccer for his college back in England and still enjoys supporting the Liverpool Football Club, He also loves to travel and visit new places. Julio joined Panera Bread in 2005 as a Shift Supervisor and worked his way up to General Manager at the Palmdale, CA bakery cafe. Julio has being instrumental with the development and training of our management team and was promoted to Executive Manager in 2013. In 2014 Julio was promoted to District Manager on December and also awarded a Mother Bread Award. Julio has 20 years of restaurant experience, working for EL Torito Mexican Grill, Rubio’s , Café Rio and Koo Koo Roo California Kitchen. Rico started with Panera Bread in 2007 and was promoted to Training General Manager in 2009. He was later promoted to his current role as Regional Training Manager in 2011.-worked for Panera Bread since 2007.
mouse a few times." Rico worked as a stockbroker during the dot.com crash and as a real estate agent during the housing bust and he claims to this day that neither situation was his fault. 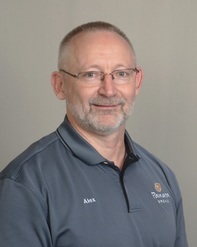 Alex joined the Manna team in January 2006 , initially serving as Training General Manager of the Rivertown Crossings bakery café. Alex was promoted to DIstrict Manager of our Lakeshore district and eventually took over the I-94 district which includes the Michigan City, IN bakery cafe. Alex says his passion is to create and embody a Heart of Service and a Passion for Achievement in himself and his teams. Prior to joining the Manna team, Alex worked in the casual dining food service industry, most extensively as a Training General Manager with TGIFriday’s. Along with being the proud father of Nicholas, Cassandra, and Katherine, he enjoys both contemplative practices and vigorous outdoor activity. Michelle started with Panera in November of 2010 as a General Manager of our Alpine bakery cafe before becoming the Regional Training Manager for Bread of Life. Now Michelle works as one of our District Managers in the Grand Rapids and Lakeshore area. Prior to Panera, Michelle worked for an Applebee's franchisee for 17 years where she worked as Regional Training Manager for the last eight years that she was with them. Michelle and her husband Don live in Grandville with their two daughters and their dog Lando. She and her family enjoy spending time on their boat in Grand Haven and out on Lake Michigan. Time with family, traveling and staying healthy are some of the most important things in life to Michelle. Beth joined the Panera Family in 2014 to become the General Manager of our Big Rapids café. She quickly became a Training General Manager and then in 2018 became a District Manager. Prior to Panera, Beth spent 10 years with Applebee’s. She grew her store into one of the best in the country with the highest customer service scores. Beth is very passionate about running great operations, make a difference with every guest and developing her associates while helping them learn important life skills. In Beth’s free time she loves to spend time her her two boys and her newly married husband. She also loves to cook, garden and read. Nick joined the Panera Family August 2011 as an Assistant Manager in the Saint Joseph café. He helped open the Mount Pleasant café in 2012, before being promoted to the GM of Mount Pleasant. He then opened our Big Rapids and Traverse City cafes back-to-back during the fall of 2014. As an Executive GM he helped open or support various cafes in Michigan including DT Grand Rapids, Cascade, Kentwood, Saint Joseph and Wyoming. Before his time with Panera, Nick managed various restaurants even starting his own small marketing company. Nick attended Central Michigan University where he studied Business Marketing, Advertising and Sports Management. In his free time he loves to cook, particularly on the grill, as well as spend time at the beach or in the woods. Nick is a big sports fan, and you can usually find him watching the Detroit Lions or anything Michigan State. Go Green. Gary joined Panera in March of 2013. He began as a GM in Salem OR. Then was Promoted to District Manager for Southern Oregon. He assisted in opening of 4 cafes. Prior to working with Manna, Gary was with Applebee's for 16 years in a variety of roles. Gary lives in Salem his 2 children. Gary has completed several short distance triathlons. Jake has worked for Panera Bread for 9 years. He started as an AM for the Beaverton location and assisted in opening two locations. They successfully turned those locations into training locations and they both still train to this day! Jake feels that Manna coming to the NW has truly been the best thing that has ever happened for his career. Being a District Manager was a career goal for him. Jake married his wife Rachelle in July of 2015. We met when I was the GM in Corvallis. We currently live in Vancouver, WA. They are both animal lovers. He loves the Atlanta Falcons, Portland Trailblazers, and San Francisco Giants. Travis joined Panera Bread in 2007 as an associate and has worked his way up through the company to his current role as a District Manager. Travis worked for a franchise in Kansas City prior to moving to Colorado in 2017. Travis went to the University of Kansas where he graduated with a degree in Community Health. In his free time, Travis enjoys reading, running, hiking the mountain with his dog, Chipper, and follows all thing KU sports. Rock Chalk! Cory has been with Panera Bread in Colorado for 7 years. Cory has worked for Dave and Buster's, Hard Rock Café, and Lone Star Steakhouse in his past. Cory attended the University of Colorado in Boulder, where he studied Business and computer information systems. Cory is an avid Denver Broncos and New York Yankees fan, although any day at Coors Field is a great day. Cory has two beautiful Daughters, Devan and Jaiden. He is a huge pets person and has two Chihuahua's, an albino Ball Python and three huge fish tanks. Kathryn has been with Panera in 2006 when she was hired as an Assistant Manager. Kathryn's favorite part about her job is building a strong foundation of training & developing team member into future leaders. She is also passionate about utilizing tools and systems to create a guest experience surrounded by Panera Warmth. Kathryn received her degree in Nutrition from Colorado State University. She currently lives in Windsor, CO with my husband, son and daughter. Kathryn enjoys playing volleyball, fly fishing, fitness, camping, spending time in the mountains and rooting for the Denver Broncos. Spending time with her family is her top priority (favorite past time). Kathryn was awarded the Mother Bread award in 2014 & 2017! Darrin joined the Panera family in 2009, as a General Manager and was promoted to a District Manager in 2016. His ability to teach, train, develop and connect with his team members are just a few of his greatest assets. He was the General Manager of a four time platinum rated cafe is proof of his dedication to excellence in all areas of management. Darrin has been married to his high school sweetheart, Kyleen for 16 years and has two children, Julia 17 and Jordan 14. When Darrin isn't in a cafe, he loves to spend time with his family. He enjoys football (GO BRONCOS! ), golfing, camping, fishing and off roading in the Rocky Mountains. Richard joined the Panera Bread team in 2007 and has been in the food industry for the past 45 years. The favorite part of his job is promoting and developing team members from within because it's rewarding and provides growth for all. Panera has allowed him to change young people’s lives and move them forward in their careers and life choices. Richard is a native to Colorado and enjoys the beautiful mountains and the many hidden fishing holes. The driving force behind Richard's life spirit is his beautiful wife, Sharon. 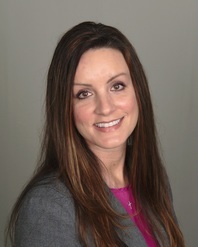 Becca joined Panera Bread in 2006 as an AM and has since held roles as a GM, TGM and a RTM. Prior to working for Panera she worked in training and management for Rock Bottom Restaurant & Brewery and for Sullivan's Steakhouse in Denver, CO.
Becca is a Wisconsin Native and loves the Green Bay Packers. She earned a BA in Biology at the University of Oshkosh and an Associate's Degree in Culinary Arts/Hospitality Management from Milwaukee Area Technical College. Becca is married to her husband Mike and they reside in Aurora, CO with our two fur babies Jack and Boo. In her free time Becca and Mike love to travel anywhere with a great beach, garden, cook and bake. Cindy has been with Panera since 2006. Prior to working with Panera, Cindy spent her college years with the Old Chicago brand. She and her husband moved to Nashville in 1990 to pursue a dream in the music industry which led to some wonderful work years at the Nashville Palace, Opryland Hotel, Wildhorse Saloon Bar Manager and then GM with Buffalo Billiards. Cindy enjoys singing and playing with the Bluegrass group and the choir at her Church in Longmont as well as lay leadership as a confirmation mentor, an Assisting Minister and Church Council President. Cindy and her husband of 31 years enjoy riding motorcycles, competing in Fantasy Football, skiing, spending time with their family and friends and hanging out with their menagerie of “kids” (pets).